An exciting fundraising activity has come our way. 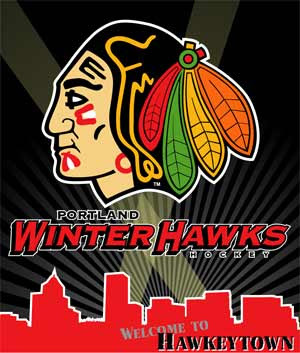 A staunch supporter of the Office of the National Nurse initiative spoke with the Portland Winter Hawks hockey team and they have decided to provide us with a block of 100 tickets to their March 6th game. Purchasers of these tickets will also receive an added bonus, a great free Winter Hawks Hat!! $4 per ticket sold will be donated to the National Nursing Network Organization (NNNO). Even better, if all tickets are purchased, the NNNO will be provided a publicity outreach table in the Food Court in order to educate others about the ONN initiative. REMEMBER!! Every ticket sold comes with a FREE Winter Hawks Hat! To support this great cause and order tickets, please call L'Erin at 503-238-6366. Tickets can either be mailed or placed at will call. Want to support the cause, but can't go to the game? There are several deserving nursing students who have worked tirelessly on the National Nurse campaign. Their budgets won't stretch to cover tickets for their young children who are eager to attend the game . If you would like to help by buying a ticket and putting it in a child's name to be picked up at the game, please email the NNNO Board . News Link Recognized in Top 20! Thanks to the dozens of organizations and individuals who have graciously posted a link to the National Nurse home page or News Link. This action helps others to learn first hand information about the Office of the National Nurse initiative. The National Nursing Network Organization was notified that for the second time this year, the News Link has been listed in a recommended list of websites, this time in The Top 20 Medical Blogs for Academic Reference! Nursing students might be interested in a books series called "EasyTerms"... there are several editions including ones for Nursing, Nutrition and Human Anatomy and Physiology. They're easy to find online by searching for "EasyTerms". I found that Mr. Ed Creager is the author of one of EasyTerms book for nursing. 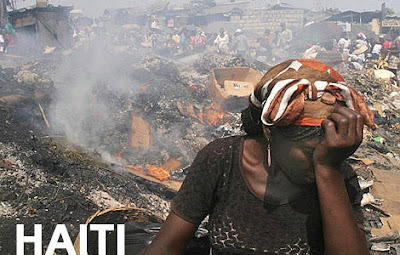 Nurses are responding to the tragedy in Haiti in many ways. The National Nursing Network Organization has received numerous emails asking for information on how to volunteer from nurses wanting to help the disaster victims in Haiti. Their actions graphically demonstrate how many nurses are willing to volunteer when needed, whether the need is in their own local communities or internationally. Those nurses who are able to do so will go quickly to the disaster area where they are desperately needed to provide direct care. Others will help at home organizing support efforts such as collection of appropriate needed supplies via faith-based organizations or assisting at their local American Red Cross disaster services office. Nursing can be very proud of the altruism displayed by our colleagues and the National Nursing Network Organization commends all who volunteer alongside the military and humanitarian organization efforts. For more information on health recommendations for those going to Haiti, be sure to review the CDC Health and Safety Recommendations for Relief Workers Responding to Disaster posted on the CDC website. Thanks to our esteemed public health nurse colleague in California for also recommending nurses check out National Nurse Response Team (NNRT) as well as their local Medical Reserve Corps (MRC). The NNRT makes them a Federal asset in case of disaster, and they get paid. The MRC is for local volunteers. In both cases, nurses will become part of a team with the ability to respond as needed. Supporters of the Office of the National Nurse initiative have been fantastic and we know we can count on you in 2010. Most of you are aware that the National Nursing Network Organization (NNNO) is completely volunteer and made up of grassroots supporters just like you. Whereas many organizations and campaigns hire lobbyists/government relation specialists who are paid to go to Congress and advocate on their behalf, this is not the case with the NNNO. These same groups frequently pay a stipend or honorarium to their Board of Directors. The RNs who serve on the National Nursing Network Organization Board receive no compensation. Most have full time jobs, and none have ever accepted money for their NNNO advocacy work. For a one-time contribution of $20, the team will place a certificate in your honor inside a packet that will be delivered to your US Representative or Senator (you decide!) during our March trip to Washington DC. A copy of the certificate will also be mailed to you. Please know that it costs $20 to make up a professional packet of supporting materials about the Office of the National Nurse proposal, so your donation is actually paying for this packet. Please join us, lend your support and empower nurses to make this vision for nursing possible. Together, nurses will make the Office of the National Nurse become a reality. We could not continue the work we do without your support! Thank you. There is a familiar theme in the article by Tracey Boyd for Nursing Spectrum describing the valiant efforts of the grassroots movement to have 2010 Internationally declared the Year of the Nurse. Seeking a UN resolution is the brainchild of three nursing organizations: Sigma Theta Tau International, Nightingale Initiative for Global Health, and the Florence Nightingale Museum, London. The resolution’s mission is to “recognize the contributions of nurses globally and to engage nurses in the promotion of world health, including the U.N. [millennium development goals],” according to the website. Nurses are on the frontlines of healthcare in the U.S. as well as every other country, so seeking recognition and support for the contributions of the profession of nursing in all societies is justified. Nurses are trusted professionals who altruistically serve their communities sharing knowledge, directing care and preventing illness. Promoting and expanding the influential roles nurses can integrate in their practice of health education to improve outcomes is long overdue. This admirable international effort being actively promoted by nurse faculty and students at Adlephi University is a parallel in many ways to the growing national grass roots effort in the U.S. to establish an Office of the National Nurse. Both movements have the support of many nursing organizations and are actively supported by students, practicing nurses across all specialties, and retirees. The National Nursing Network Organization (NNNO) has been coordinating a grassroots effort in the United States to establish an Office of the National Nurse since 2005. The NNNO is proud to support the global nursing community in their request to the United Nations to declare 2010 the Year of the Nurse. Nurses are logical partners to assist in the realization of each nation's health priorities and the UN Millennium Development Goals. In the same way, nurses in the United States can be key advocates and providers to take action to move our nation's Healthy People 2020 Goals forward, identified leadership is key for both of these efforts to be successful. Many countries are fortunate to have an identified National Nurse who coordinates nursing action in support of global and national health priorities, and the U.S. deserves the same. With support of interested nurses everywhere, 2010 may be the year both these important campaigns are successful in enhancing the image and contributions of nurses.